It’s awards season, don’t you know. SO, if you love what we do, we’d love you forever and ever and ever if you voted for Vauxhall Tavern (every category that we’re nominated in, may as well, eh?) 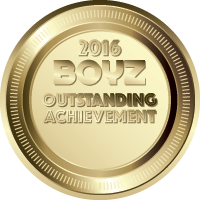 in the Boyz Magazine awards. On behalf of my company Vauxhall Tavern London Ltd (VTLL), I would like to thank the general manager Jason Dickie and the VTLL staff for all their hard efforts and to thank customers and promoters for their continued support and to wish everyone – A Happy New Year.